Local cooks share recipes that have become beloved holiday traditions. Family recipes seem to be a little more treasured around the holidays. Sally Nebel, of Leesburg, recalls that while growing up in Minnesota, her Norwegian aunt, Serena Bakken, baked a cranberry cake for Christmas—and Sally continues the tradition. Oyster dressing is what Sandy Jones, of Yalaha, has made for 20 years. Jackie Johnson, of Lady Lake, whips up bread pudding, while Brenda Shrewsberry, of Oxford, says Nanny’s cornbread dressing has been a holiday favorite since 1970. 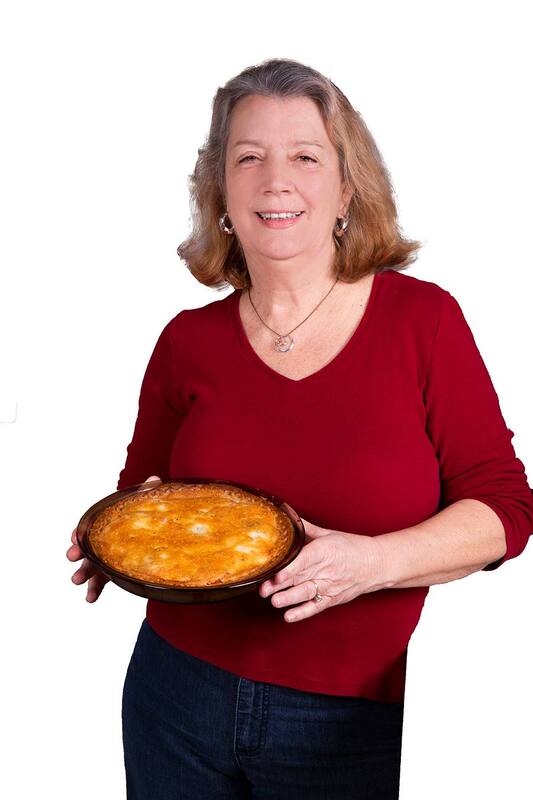 Tomato pie has become a traditional dish for Kim Linn, of Umatilla. “It will definitely be on our Christmas menu when we all gather this year,” she says. Cut buttered bread into 1 inch squares and place in lightly greased 9-by-11-inch pan. Slightly beat only 3 eggs, add ½ cup sugar, vanilla, salt, and mix well. Heat 3 cups milk (hot, not boiling), slowly add egg mixture. Mix well. Pour over bread, sprinkle with cinnamon. 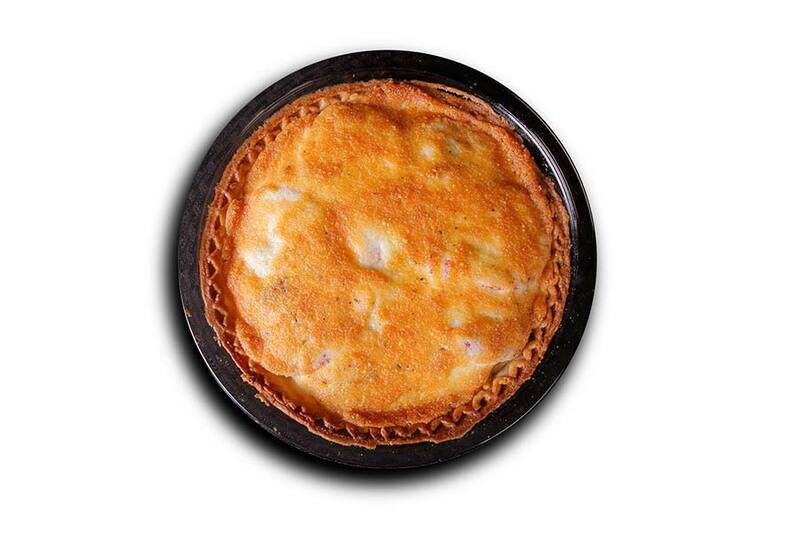 Combine cream cheese and ½ cup sugar and blend until smooth; add 1 egg and beat well. Spread evenly over soaked bread. Bake at 350 degrees for 45 minutes or until firm. Cool before serving. Sauté onion and celery in butter until tender. Pour broth (to your desired consistency so it’s not too thick) into bread mixture, add well-beaten eggs. If needed, you can add a little water to make a moister dressing. 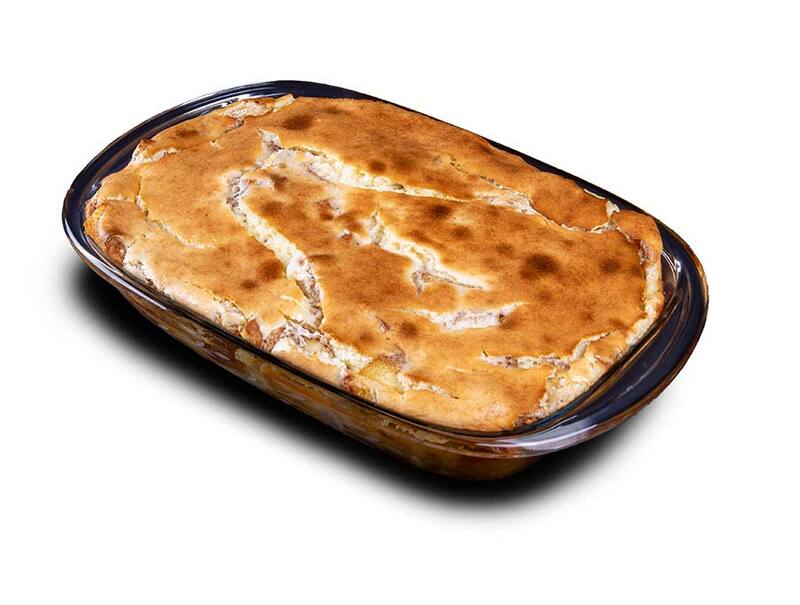 Pour in baking dish and bake at 400 degrees for 25-30 minutes. It is best to make the day before baking (refrigerate overnight). Before baking, add broth and mix in if needed so dressing is not too thick. Pre-bake pie crust on bottom rack at 400 degrees for 7-8 minutes, until golden brown. While crust is baking, mix the mayonnaise, cheese, and garlic in bowl. Slice the tomatoes. Once the pie crust is pre-browned, layer the tomatoes while at the same time sprinkling the layers with salt, pepper, and basil. Spread the mayonnaise over tomatoes, up to the crust edge. The back of the spoon works well for this. Bake at 350 degrees for 20-25 minutes or until browned. (For a crispier crust, you can layer your tomatoes between paper towels to drain, gently patting them, before layering them in the pie shell). Cream the butter and the sugar. Add the flour, salt, and baking powder. Make a little well for the milk and mix well and then add the fresh cranberries. Put in a buttered 9-inch square pan. Bake at 350 degrees for 35-40 minutes. Serve with warm hard sauce. Heat first ingredients together to a boiling point and then add 1 teaspoon vanilla flavoring.